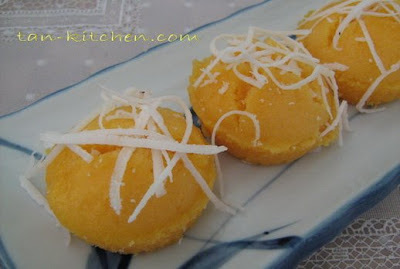 Sweet Tapioca with Cantaloupe is yummy Thai dessert called "Sakoo Paik Cantaloupe" from simple ingredients. 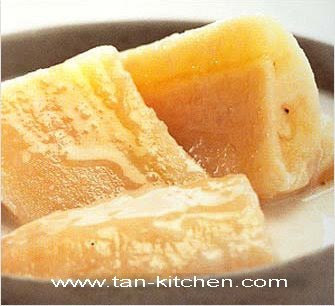 Salty and sweet taste fresh cold by cantaloupe. Divide cantaloupe in half, remove seed and spoon like a ball. Heat sugar and 1/2 cup of water in a pot on medium heat, stir until dissolve, bring to boil for a few minutes, remove from heat and place it in a bowl. Boil coconut milk on medium heat, add salt, stir together. 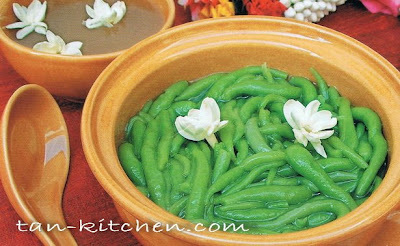 Remove from heat and place it in a bowl. Wash and drain tapioca pearls (run water through, don't stir). 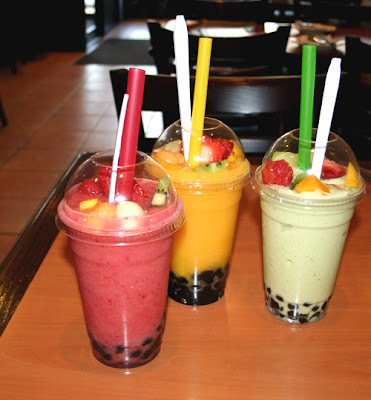 Add 3 cup of water in a pot, bring to boil on medium heat, transfer tapioca pearls in a pot, stir regularly. Stir tapioca pearls until cook (look clear outside and be sticky), remove from heat. Transfer cooked tapioca pearls into sifter, wash thoroughly and stir to remove sticky paste, then place in a bowl. Add syrup, mix together, and taste for sweetness. 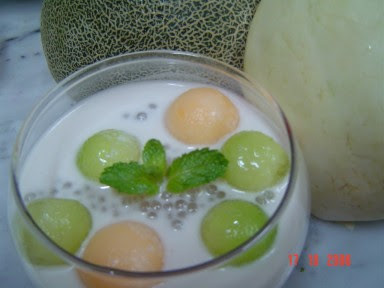 Spoon cooked tapioca pearls in dessert bowl, place cantaloupe balls, add coconut milk, and stir together. 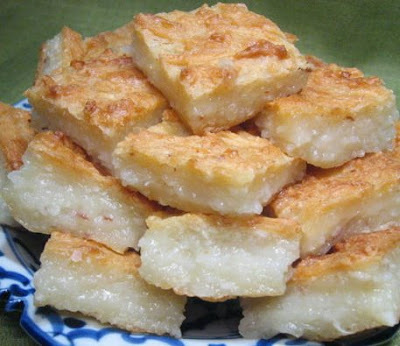 Before serving, place coconut milk on top for creamy flavor.